Corobrik’s face brick range was carefully selected as the ideal product for the construction of the Thengwe Secondary School maths centre in Mutale, Limpopo - a creative structure designed to inspire the youth. 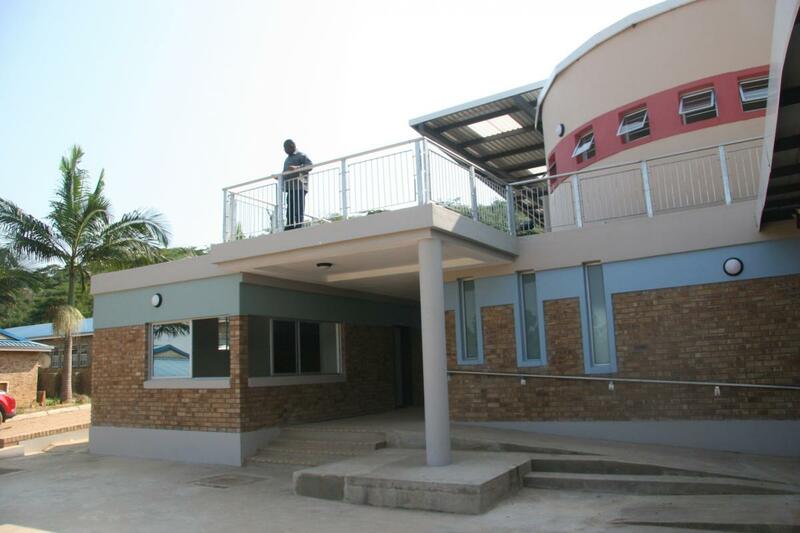 The construction of the centre was prompted by the constantly improving maths results at Thengwe Secondary. Funded by the Anglo American Chairman’s Fund, the 1200m2 centre has been built using Corobrik’s Wolkberg Honey Satin face bricks, chosen to match the existing school infrastructure. The project, which was contracted to Bedrock Construction and Consulting, was completed in March 2017. The secondary school is in high demand because of its dedication to the pupils which has seen a matric pass rate of more than 85% since 1987. And, despite a capacity for 1 200 pupils, the school has more than 2 000 enrolled, because of the area’s dire need for such quality education. To meet this need, construction of the maths’ centre - a new building adjacent to the existing school – began in 2014. Musa Shangase, Corobrik’s Commercial Director, said that face brick was often the first choice for school projects. He said that with such large classroom numbers, it was essential that the product reduced unnecessary noise – a sound insulation feature that makes up the clay brick – ensuring that the pupils could get the most out of a school day in a peaceful work environment. While constructing the centre, Hohls said a variety of passive design features were used including solar shading, natural light and ventilation as well as thermal mass and insulation. To reduce costs and boost the local economy, local labour and materials were used. For environmental sustainability, rainwater harvesting was incorporated into the design along with green roofs and intelligent lighting. According to Shangase, clay face brick and pavers, overall, respond well to harsh conditions, both climatically and occupationally, which often makes them the preferred choice for projects such as these.